Is it too early to talk about baaaaaaahbecuuuuue saaaauuuuuuwce? Forgive me if I’m jumping the gun on barbecue season, but over here in No Winter’s Land, it’s been grilling weather for 88% of the winter. Plus, BBQ season is more of a state of being than an actual season, yes? As in, we can grill any time we dang well please, amIright? 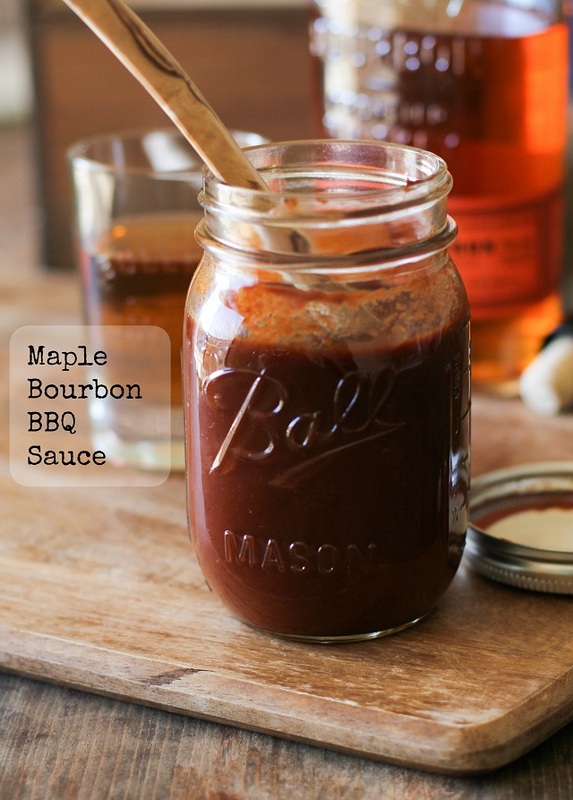 I’m just going to come out and say it: best barbecue sauce I ever did make right here. 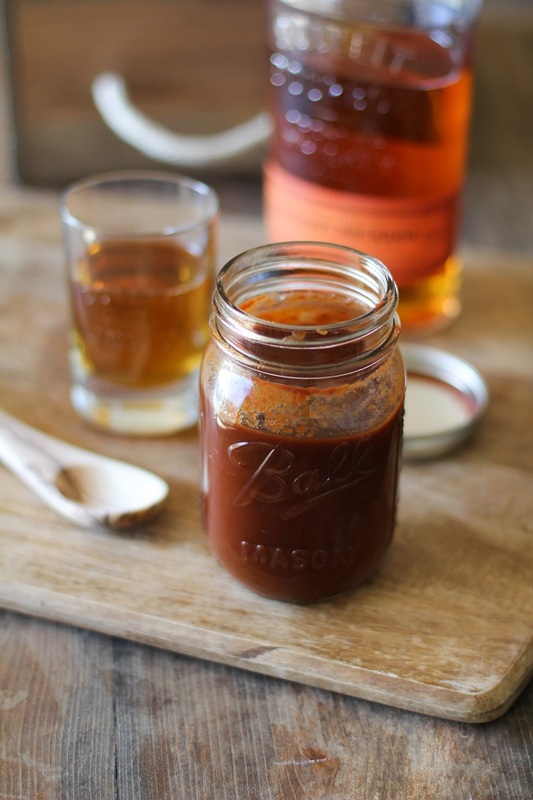 You’d never know this sauce is naturally sweetened and way better for you than store-bought sauce, because it’s such a magnificent balance of sweet/spicy/smokey/whiskey. Zero sugar, zero corn syrup, no weird food coloring. Quick note to my gluten-free friends: this isn’t technically gluten-free on account of the whiskey, but you can omit the booze and still end up with a stellar sauce. I will say, this sauce requires a million ingredients, but you probably have every last one of them already. My favorite part about making this sauce is it’s a one-stepper. One.and.done. All’s you do is toss the million ingredients into a saucepan and let that sucker simmer for 20 to 30 minutes (or a little longer if you’re a real go-getter). 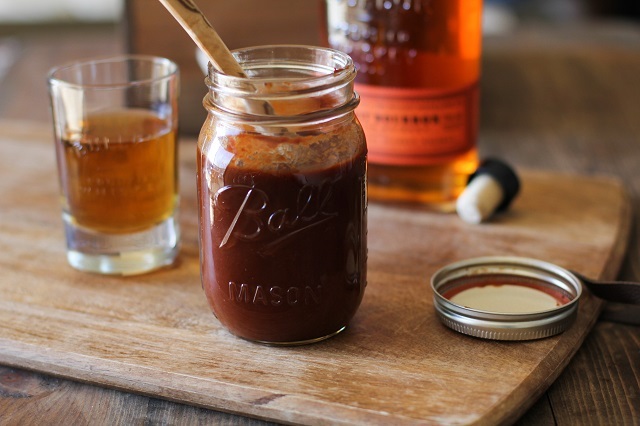 What this level of convenience means for procrastinators like me, is you can whip up this barbecue sauce right before you barbecue on a moment’s notice. 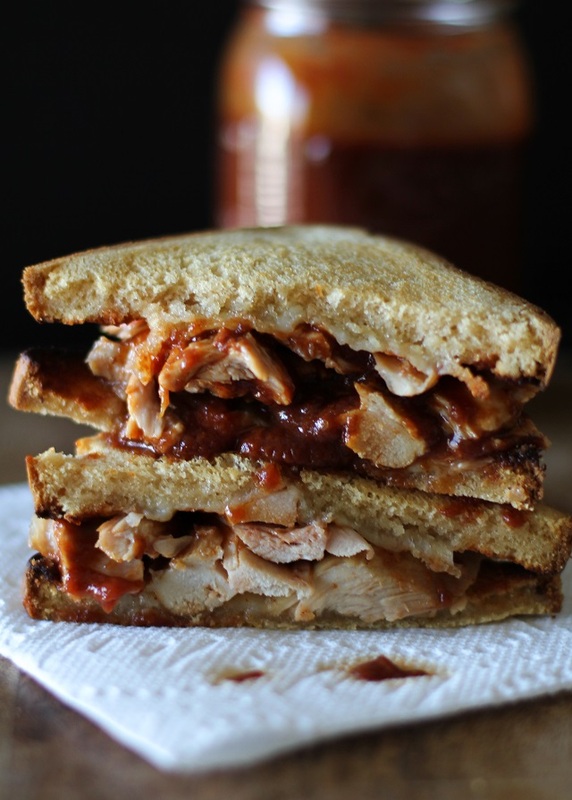 BOOM insta-delicious Q.
Leftover grilled chicken bbq grilled cheese sandos are just too legit for words. My vegetarian friends: black beans were made for barbecue sauce! Over and out. Add all ingredients except for the whiskey to a large saucepan. Whisk to combine and heat over medium. Bring to a full (but controlled) boil. 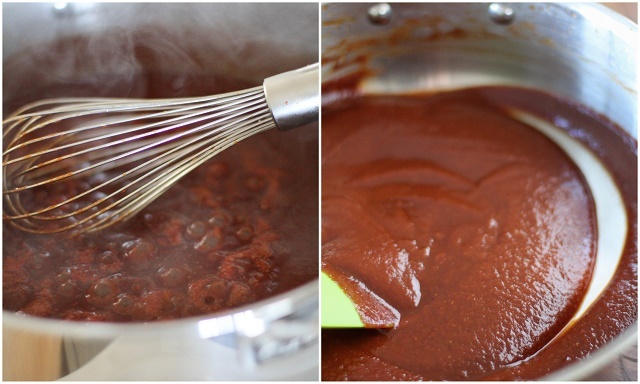 Reduce the heat and allow sauce to simmer, stirring occasionally, for 20 to 30 minutes, until thick. Add the whiskey and continue cooking another 5 minutes. Remove saucepan from heat and allow it to cool. The sauce will continue to thicken as it cools. Transfer sauce to a sealable container and refrigerate until ready to use. Sauce will keep for up to 3 weeks. Use as a meat marinade or for drizzling on all the foods ever. *You can omit the liquid smoke and replace it and the regular paprika with smoked paprika. Lawwdddd yesss to this sauce! I have a giant bottle of that same bourbon you have up there hangin’ out in the background, turns out I needed a regular size bottle but all the store had was the extra big as eff bottle so I was like ‘Welp, I’ll use it somehow!’. Now I know what I’m using it for..that finger lickin’ sauce right up in there! Oh heck yes! Simmer up a vast of this sauce and dell that stuff for a million dollaaaaas! YUM!! This is a must-make for grilling season! Oh yes! This looks amazing! It makes me want to break out my grill ASAP! This looks gorgeous! So flavourful! I’m not sure I’ve ever bought BBQ sauce – or at least I haven’t in the last 25 years or so. I found a recipe that was pretty good, but I’m definitely going to have to try this one. It sounds scrumptious! And like it may replace the other one. But I will have to go out and buy some bourbon. There’s nothing like a homemade Q sauce! My first experience with barbecue sauce was dipping a McNugget in those little McDonald’s BBQ sauce packets, so you can imagine I just loooooathed the stuff for the longest time. I didn’t realize how good it could be until I made it at home. BBQ sauce knows no seasons. It’s just always a must. Especially with a little bourbon in it! It is NEVER too early for BBQ sauce! That sando looks freakin awesome. Positively finger-lickin’ good! THIS SAUCE. I’ve got buffalo and you’ve got the BBQ and together we’ve got a seriously flavorful meal. I’m going to throw this on my almonds next time.. is that acceptable? Oh yeah- love it, totally sharing this on my FB page. Everyone needs a solid BBQ sauce. 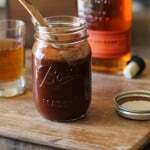 Homemade bbq sauce is a whole other beast from the storebought gunk. A whole more delicious beast. Love the maple and alcohol infusion! ribs to another level. Thank you. Snag a Copy of My Cookbook!